Given last week's episode, I was pretty excited to see this one. Thankfully, it didn't disappoint. It just made me sad. This episode featured absolutely no Haneda, which is always a plus. Instead, it had Chitose filling in for the morning and afternoon shifts, and then Narita for the nighttime. It was made extremely clear that the host body did have DID, that Haneda had no idea, and that something big was set to happen for all the personalities (referred to always as "time running out"). It was a relaxed episode that brought together the story more. 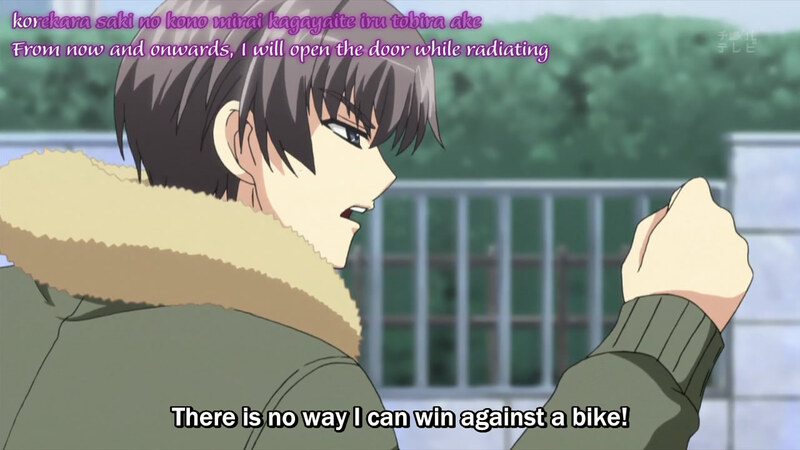 Ah, Chitose, humour is always the way. The episode picked up where the last one left off, revealing that Asuka knew about Haneda's DID (or, at least, had suspected). 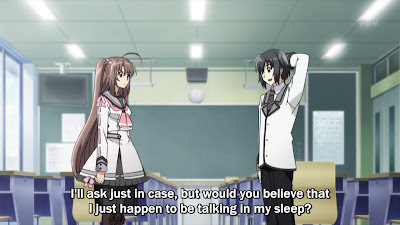 With Chitose left as the pilot, he attempted to avoid Asuka's pointed questions but eventually ended up telling her (I guess her revealing that she was Haneda's girlfriend is what changed Chitose's mind...). She cryptically talked about having experience with DID, although that might just refer to the last few years she's spent with Haneda, considering he's pretty unstable and lets Chitose take over quite often, and also talked about her younger brother. Story! 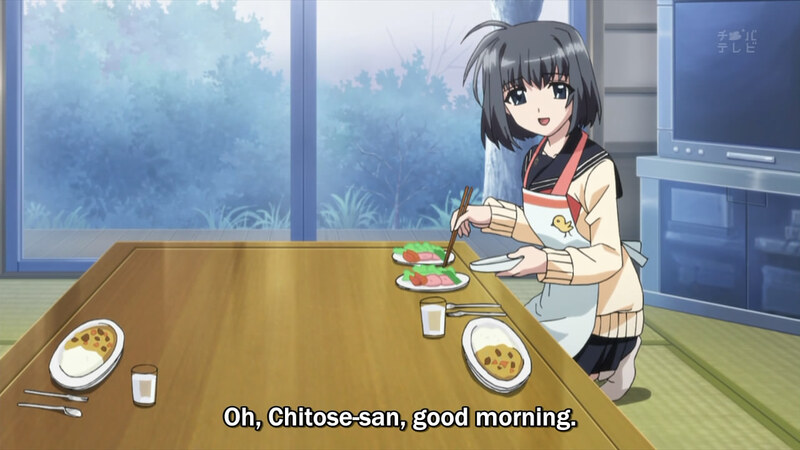 With Haneda suddenly disappearing for an unknown amount of time, Chitose played rock-paper-scissors with Narita and ended up taking Haneda's morning shift (at least for the first day). Whether it was a win or a loss wasn't explained, but Chitose did later note that it was such a long time to spend in the body. He confirmed that Haneda had no idea about the other personalities, driving my theory that Haneda sincerely believes in Gretagard (which Chitose and Narita in turn only refer to as another portion of the mind, really). With Chitose presenting a different personality, despite his good attempts, I'm sure many of his classmates noticed the change. 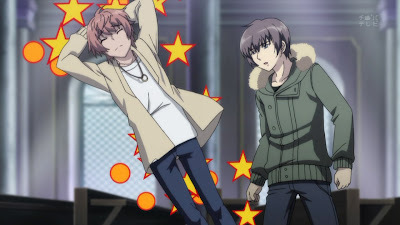 (Something as simple as asking if someone was unharmed seemed to out-of-character for the super-timid Haneda...) As part of a potentially bigger story, it was clarified that Karasu hadn't known about all the personalities, as he commented that there were others upon noticing that it was Chitose instead of Haneda. Kobato got a little bit of limelight in this episode, although there wasn't much to be seen directly. 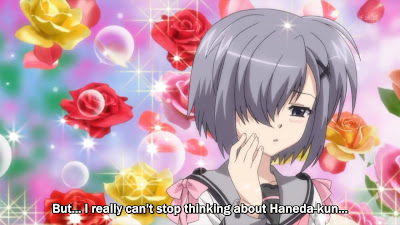 Given the fact that she doesn't seem to consider Chitose and Narita as her brothers (calling them by name), I wonder who was with her that time Haneda turned on the lights and she was naked (and also what they were doing, really). 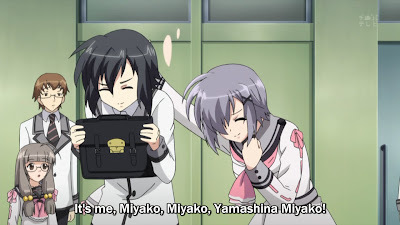 She commented in this episode about "others" disappearing too, potentially insinuating that there had been other personalities throughout the years. As a character, Kobato is slowly growing on me. I find her situation to be pretty interesting, considering she seems to be pretty well-adjusted to the multiple personalities wandering around the house with her. Is that girl in the bottom left corner of any importance? 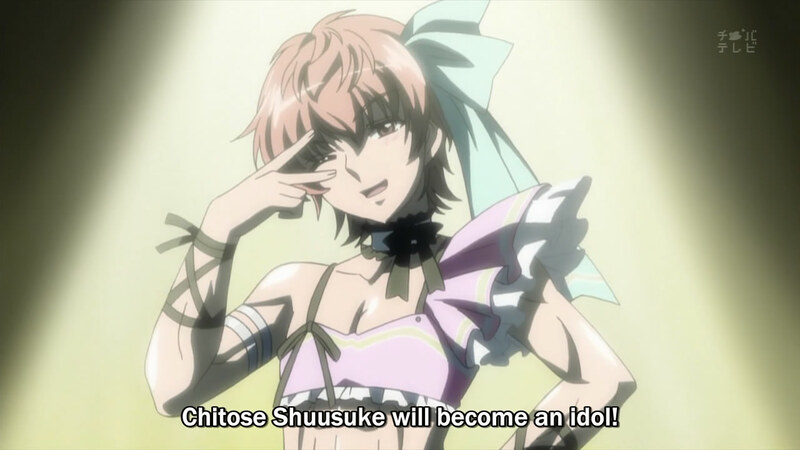 Cross-dressing is always a definite must. Chitose filled out his usual afternoon shift after working the morning as Haneda, leading to some light-hearted comedy regarding the restaurant's plans to increase customers for Christmas. His development with Hiyoko seems to be well on-track; he seems to have feelings for her (as theorized by Narita, as well), but probably knows that he can't do anything about it and so isn't working harder at it. Hiyoko's own story is slightly interesting; her second book hasn't been doing nearly as well as her first book, with suggestions to return to the "young girl in love" genre that she excelled at prior. 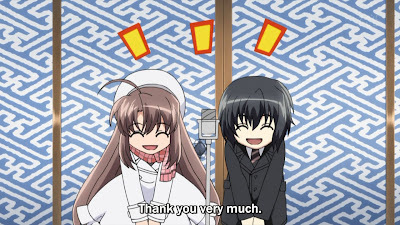 Chitose's support of her book, at this point, might either be superficial (he doesn't want to hurt the feelings of the girl he likes) or actual (he might have genuinely enjoyed the book); it isn't too clear. Chitose was definitely the star of this episode. Narita's scene at night (and running into the morning) advanced his story quite a bit; the entire district was pretty much searching for Naru's bike, as a competition between the YFB and R-Wings. After Naru revealed that it wasn't so much the bike she was after but rather the pager in the basket, Narita actually found the bike (it had been taken to a depot by city workers to clear up the area in front of the station) and returned Naru's pager to her. After hearing the story that the pager was specifically for her mother, it really endeared me to her more. She's still my favourite of all the girls, followed by Kobato, Hiyoko, and then Asuka. She has you running after her! What's her place in the final harem? Side character?